Runs on any recent Windows or Macintosh computer with CD-ROM drive. See CTP Catalogue Sales for further ordering information. 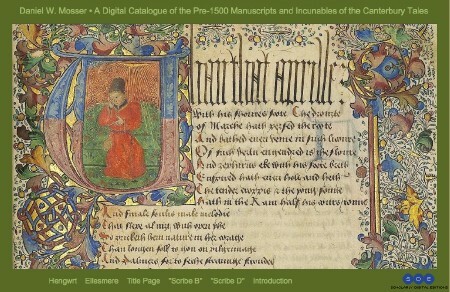 This CD-ROM contains Dan Mosser's descriptions of every surviving pre-1500 manuscript of the Canterbury Tales, and of individual copies of the four incunable editions. This catalogue is based on inspection of every manuscript, of all relatively complete print editions, and many of the fragmentary (single-leaf) print copies. Every manuscript description is accompanied by images of the manuscript, many as high-resolution digital photographs freshly taken for this catalogue. 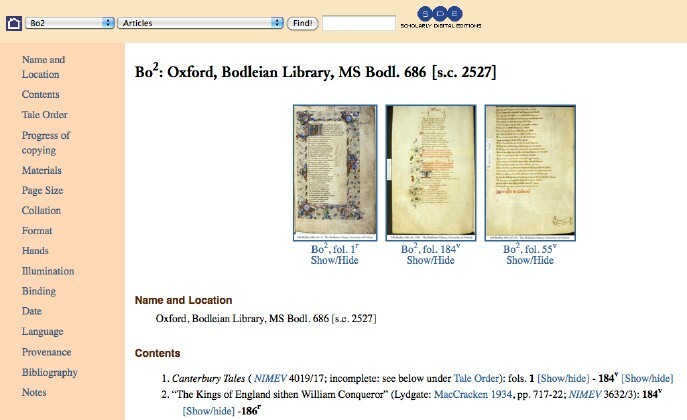 Each description gives a full account of the manuscript's contents, hands, language, copying progress and provenance. 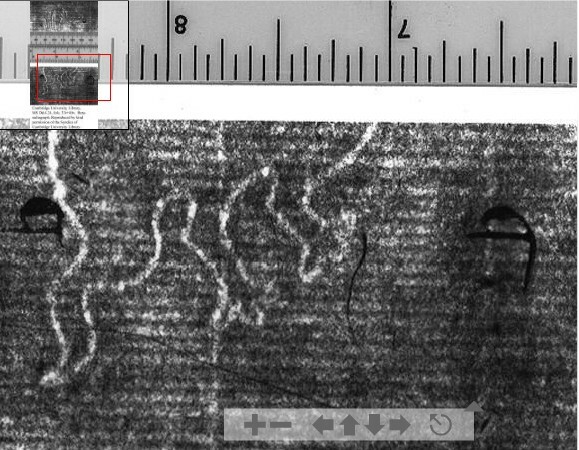 For paper copies, every watermark is identified and most are dated, many with images. 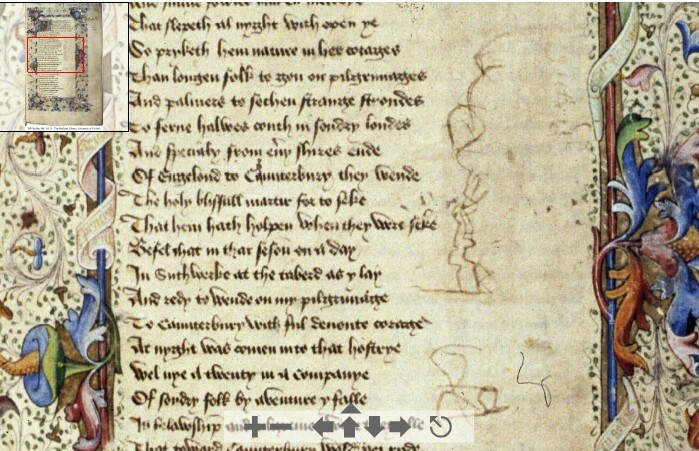 Accompanying articles discuss lost manuscripts and individual scribes (notably Adam Pynkhurst, perhaps Chaucer's "Adam scriveyn").